Anna’s a favorite color is red. Red is a tough color to wear, especially outside of summer. We don’t like doing the whole thing where we dress as a couple and try and match each other, but she likes it when we have playful contrast. My red shoes and her red scarf. I think we make it work. Keeping with the red theme in our lives, I knew I had to get her a ruby ring for our engagement. 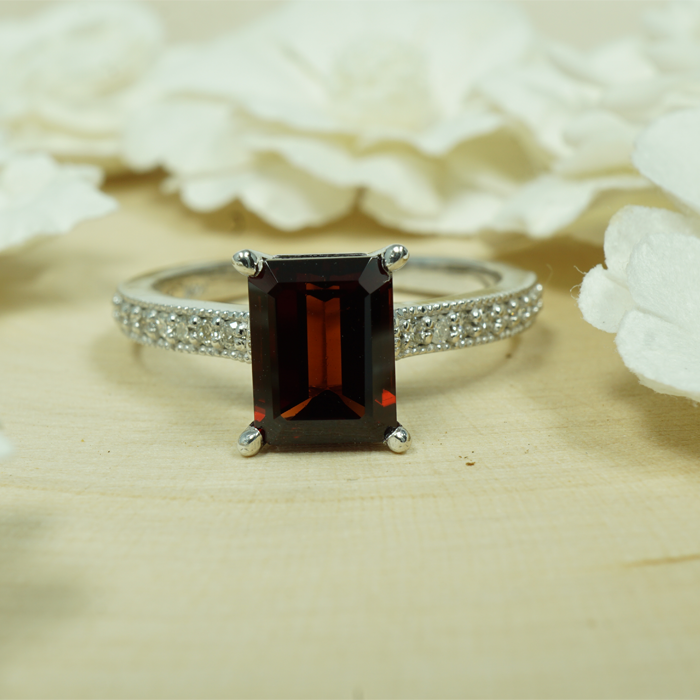 I found the perfect one for her with ruby and diamond accent stones AZEERA! The design was perfect, and like us, there was a little bit of contrast. When I placed the order, I also made a special request for a red ring box which they supplied to me without any trouble. The proposal went off without a hitch. She said yes! And she loved how the accent stones represent us!